My daughter knows that my favourite treat is a chocolate bar. She also knows that I’ve given up sugar for months. In gifting me this bar she honestly believed that she was blessing me. You can imagine how difficult it was for me to give it back to her. First of all, I wanted it. Although I had given up sugar, I still looked at donuts, cookies and chocolate bars with longing. 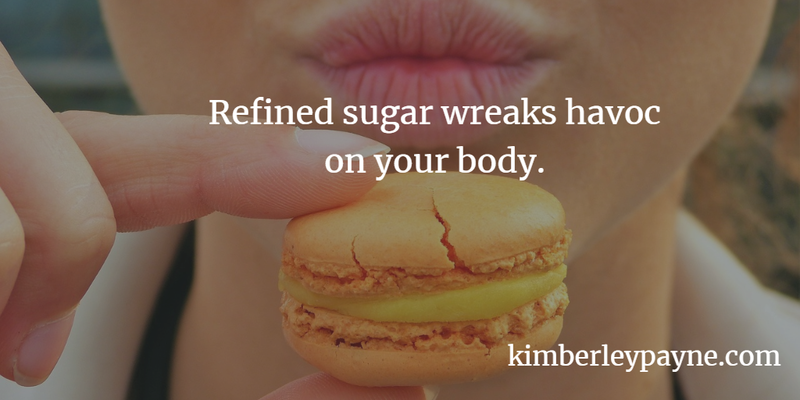 Not the same intense cravings that I had suffered from in the beginning but I was not yet totally free of the lure of the sugar fix. And secondly, I didn’t want to hurt my daughter’s feelings. I didn’t want her to think that my rejection of the chocolate bar was in any way a rejection of her. As I held the bar in my hand I internally battled with what to do with it. On the one hand, I wanted to rip off the wrapper and wolf it down right there. On the other hand, I wanted to throw it as far as I could. Instead I said a prayer to God. Without God’s strength, I could not make the decision to resist temptation and instead say thank you for such a thoughtful gift and opt to graciously return it to my daughter. I looked her in the eye, gave her a huge hug and thanked her for the chocolate bar. Then I explained that although I truly appreciated her gift I would cherish the thought but not consume the bar. I am hopeful that this will set the trend for future gift giving. I felt good about my decision and thanked God for His help. Have you ever had to say no to an unhealthy gift? How did you handle it? BEEP — Believing that exercise is to the body what prayer is to the spirit and healthy eating is to the body what bible study is to the spirit. Originally published at www.kimberleypayne.com on March 11, 2019.